HomeAn Audit Horror Story, will your audit sound like this one? 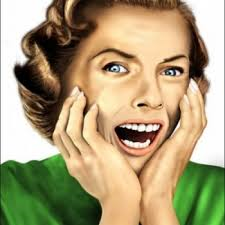 An Audit Horror Story, will your audit sound like this one? Last month I was contacted by a very frightened Mortgage Banker, a small shop with about seven employees doing Agency loans. This woman tried her hardest to always do the right thing but made three big mistakes that I believe will cause her to lose her license. It was avoidable. I got to thinking; is this YOUR story? So I will share just enough of the story that you can ask yourself that very important question. IS THIS YOUR STORY? Here’s part of what happened. 1. The Banker accepted assurances from staff that compliance and quality control were up to par. They weren’t. Staff gave the quick answer, because they were employees not owners and not invested in the need to tell the complete truth. 2. The Banker’s Company did not have any kind of written customer complaint policy in place. Then a consumer had a “bad experience” and complained to an Agency. When the regulator showed up unannounced to investigate the complaint, which is what they do; a presumption of non-compliance was created when no customer complaint policy was found to be in effect. 3. Once staff became sufficiently frightened by the regulator’s presence staff engaged in “self help” after the fact and tried to “fix” the problem file. They thought no one was looking. Well someone was. A regulator was looking. Now we also had a presumption of dishonesty. This is the one that will always result in the worst possible scenario for the Banker. The presumption is the attitude came from the top. That’s you, right? This Banker will likely lose her company’s Lender Approval, and may even lose her personal MLO license. All of this was avoidable. How? An honest assessment NOW about how good your program really is. Just because you spent a lot of money, does not mean your compliance program is good. It just means you may have paid too much. Consider the use of an outside Compliance Expert to examine what YOU do and tell you if it is sufficient to keep you in that “presumption of compliance” zone. Train your staff; tell them the consequences of conduct such as what I have described here. Consider appointing your outside QC person as Agency liaison. 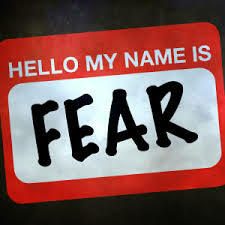 This keeps the contact professional and does not disrupt staff where they get to the point of fear. This is what I do. Call me at (800) 557-6580 and ask for help. ← Do you offer Reverse Mortgages?